Waterloo – The Lazaridis Institute at Wilfrid Laurier University has now opened applications for their first Women Founder/Co-Founder cohort for the flagship Lazaridis ScaleUp Program. 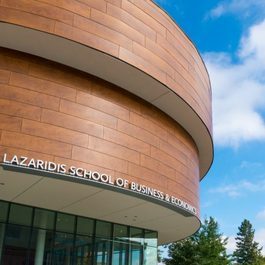 Three years ago, the Lazaridis Institute was given a mandate to help make tech entrepreneurs more globally competitive. They have put efforts into understanding the constraints Canadian entrepreneurs face as they scale, and into finding, the most effective ways to help tech founders and their teams overcome those constraints. Last month at the Toronto based, Elevate Festival, Kim Morouney, managing director of the Lazaridis Institute announced the Lazaridis ScaleUp Program will be running a fourth cohort of tech companies with a women founder or co-founder and their executive teams. The ScaleUp Program will be building a very diverse team of mentors, specialists and VCs across Canada, in Silicon Valley, and in NY – many of whom are expat Canadians, excited and ready to support the female tech executives in Canada. The 10 companies will have demonstrated the ability to grow rapidly and show the potential to dominate their industries. The ScaleUp Program supports these companies by helping them access talent, open markets and prepares for their next funding round. They do this by bringing seasoned executives to each cohort of tech companies—for intensive weekend workshops around functional challenges and through curating and brokering short-term specialist assignments of senior executives who work with the companies virtually for a year. As an active member in the Canadian tech ecosystem, the Lazaridis Institute will continue to promote and support gender quality. This cohort will aim to provide women founders and co-founders with the tools and skills to scale their companies, achieve their fullest potential and take on more leadership roles in the tech ecosystem. Applications are open for the Women Founder/Co-Founder Cohort of the Lazaridis ScaleUp Program from Oct. 11, 2018 to Jan. 11, 2019.